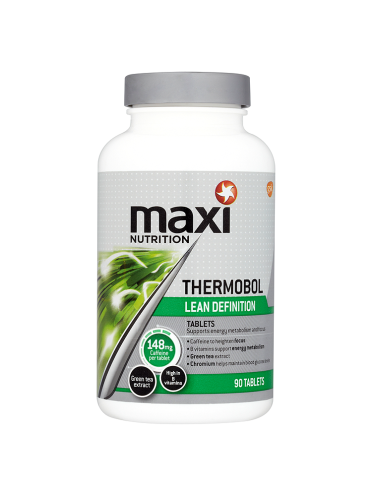 How to Use Thermobol: Take up to 3 tablets daily with water, split evenly throughout the day. 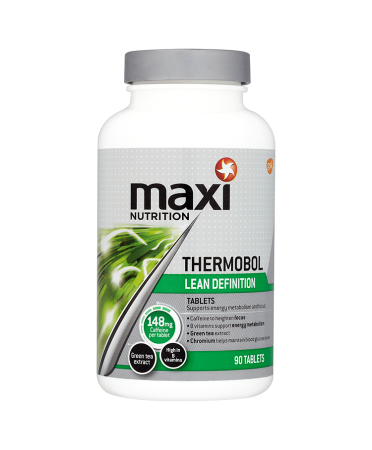 If you are using Promax Lean, limit yourself to 3 servings of both products combined in a day. Make sure your supplements work as hard you do. Thermobol provides the energising effects of caffeine with specific vitamins and chromium to support your training goals. 148mg of caffeine per tablet for increased alertness and better mental focus. With 100mg green tea extract per tablet. 100% of your Reference Intake of vitamins B1, B5, B12 and Biotin per tablet to support the body's energy metabolism. Notice: Food supplement tablets containing L-tyrosine, B vitamins and caffeine plus bitter orange peel, green tea extract and guarana. Contains caffeine: 444mg per 3 tablets. Not recommended for children or pregnant women. Food supplements should not be used as a substitute for a varied and balanced diet and a healthy lifestyle. Do not exceed the recommended daily intake. Keep out of reach of children.